Rejuvenating, stimulating and antiseptic. Used in skincare, Elemi Essential Oil works to promote a healthy and clear complexion, and helps breathe life back into dull, dry, lifeless and mature skin types. Along with frankincense, myrrh and galbanum, the ancient Egyptians used elemi over 2000 years ago to embalm the dead along and included it in daily skincare preparations and medicinal salves. Also in common with frankincense, Elemi Essential Oil has expectorant properties that help to relieve dry, tickly coughs, and it’s a highly effective antiseptic and antimicrobial that can be used effectively against a wide range of fungus's and viruses. Whilst Elemi Essential Oil could never be considered the equal of frankincense in terms of fragrance, it is an interesting alternative from a therapeutic point of view, since it does posses many of the same properties. 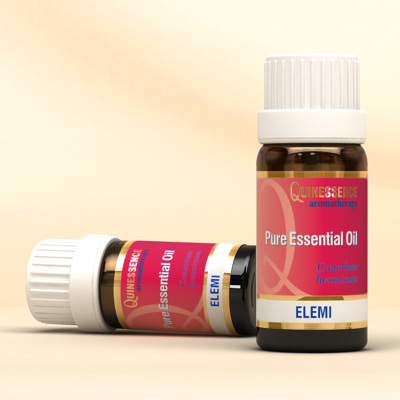 At a time when the cost of pure, high quality frankincense oil continues to escalate on an annual basis, Elemi Essential Oil could be considered a cost-effective alternative for many forms of treatment.